Inner Glass Doors - Installed! Inner Glass Doors – Installed! Our lovely new glass doors have now been installed inside the north and the main south doors. 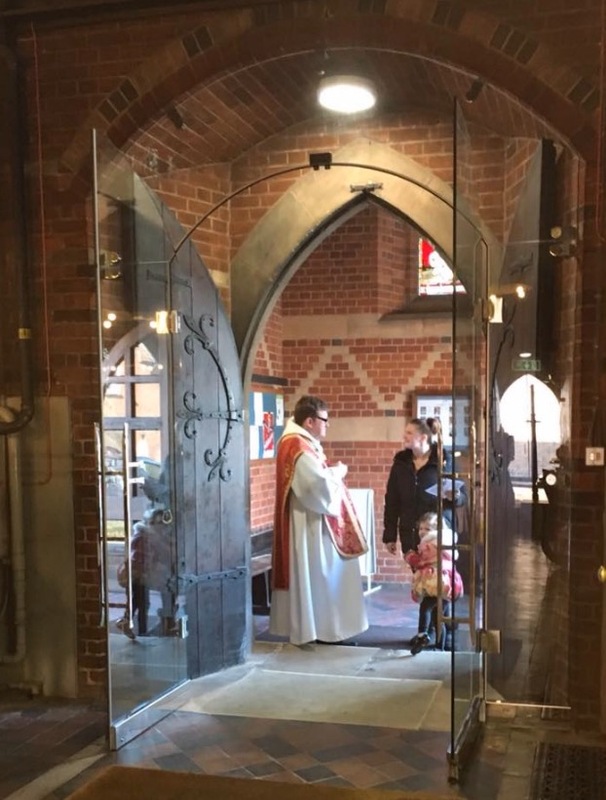 For the first time at the service on Palm Sunday, we were able to open the wooden doors so that the inner doors could let in plenty of light but still keep out the draughts. The stainless steel handles on the south doors were designed especially for Holy Saviour Church by our architect, Michael Dales, and have been much admired. A similar set is being made for the north doors and will be fitted as soon as they are finished. The doors are being paid for partly by bequests and partly by a special appeal. Our target of £15,000 is now within reach. Will you help us by making a donation? If you click here, it will take you to the Holy Saviour Church Just Giving page. This entry was posted in News on 24/03/2016 by admin.